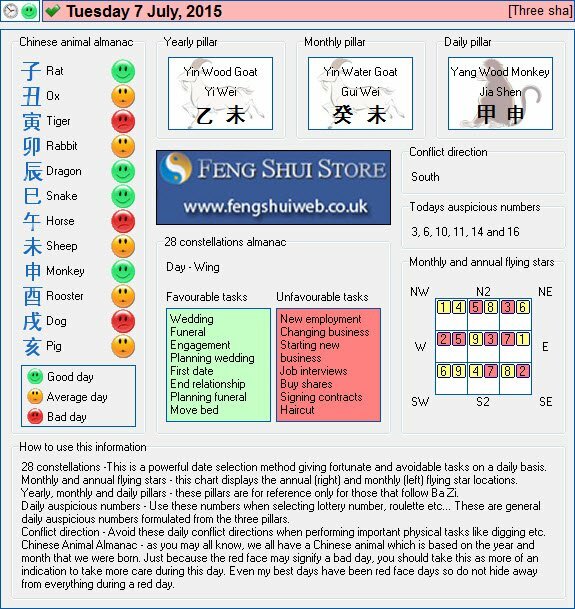 Here is the Free Feng Shui Tong Shu Almanac for Tuesday 7th July 2015. Can you please send me a photo of the front of your home looking towards the home so I can take a look for you. If you could send the photo to jo@fengshuiweb.co.uk and address it to Daniel that would be great.